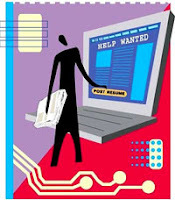 Shortly, job seekers must submit a new online job application instead of e-mailing CVs. INDEVCO, headquartered in Ajaltoun, Lebanon, regularly recruits a wide range of professionals - for manufacturing, marketing, customer service, information systems, accounting and finance, and other positions – for its manufacturing plants and sales offices around the world. With e-mail a favorite form of communication, the Inbox of INDEVCO Human Resources (HR) Department receives a heavy flow of incoming CVs from interested job seekers. In the near future, however, candidates must complete an online application to be considered for a position within INDEVCO’s 50 affiliate companies. New visitors will be asked to create an account with a user name and password; this information will be required to enter the online application each time they return to the application. As applicants proceed from one step to another in the online application, their information is automatically saved. They have the opportunity to depart the form and later return to complete the application. Applicants can log in at a later stage – months after or longer – in order to update their information online. A status bar on each page alerts candidates to their current step. Applicants receive on-screen confirmation, after they submit their employment applications, as well as e-mail confirmation that the form has been received by the HR Department. Information provided in application forms is 100% confidential and only used internally at INDEVCO Group for recruitment purposes. Information is not shared with third parties outside the group. Until recently, information from e-mail CVs was manually input into the HR Department’s software. Within months, as well, applicant CVs were no longer up-to-date. With the online employment application, candidates can maintain their applications, with information transferred automatically into HR’s data bank. For INDEVCO HR Department, the online employment application means efficient processing, interviewing, and selection of candidates.